In Western Christian countries, today (December 6th) is the feast day of Saint Nicholas – or as he is known in Italian: San Nicolò. 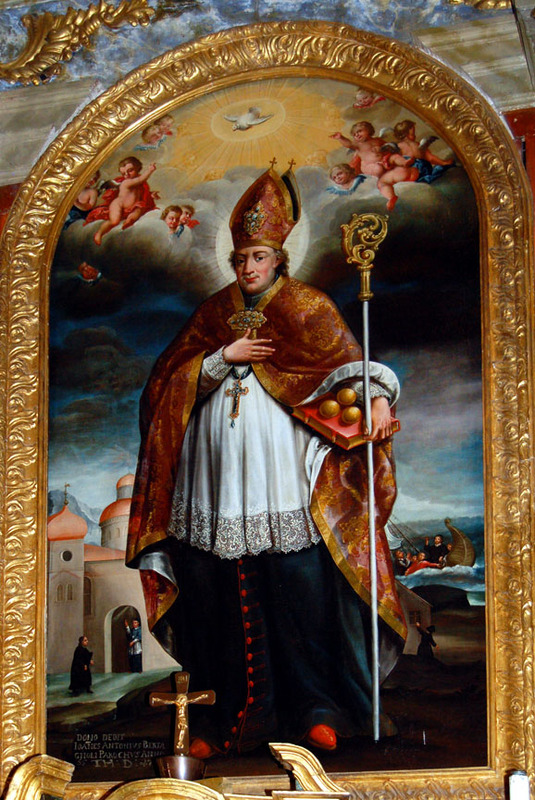 For your enjoyment and in celebration, I am republishing a post I wrote in December 2015 explaining the story of San Nicolò – the original Santa Claus. The photograph above pictures a prominent painting gracing the baroque altar of Castelfondo’s beautiful church. During my 2011 visit to the village, I was given a tour of San Nicolò by a lovely little woman who is the caretaker. She took me by the arm and escorted me around the altar, all the while describing paintings, frescoes and statues that adorn the church. Of course her explanation was in Italian! I nodded dutifully as I caught a word here and there. I was so appreciative that she had turned on the lights for us. Her obvious devotion to the church and the history it represented touched my heart. While she spoke, I could feel the spirit of my ancestors fill the pews. 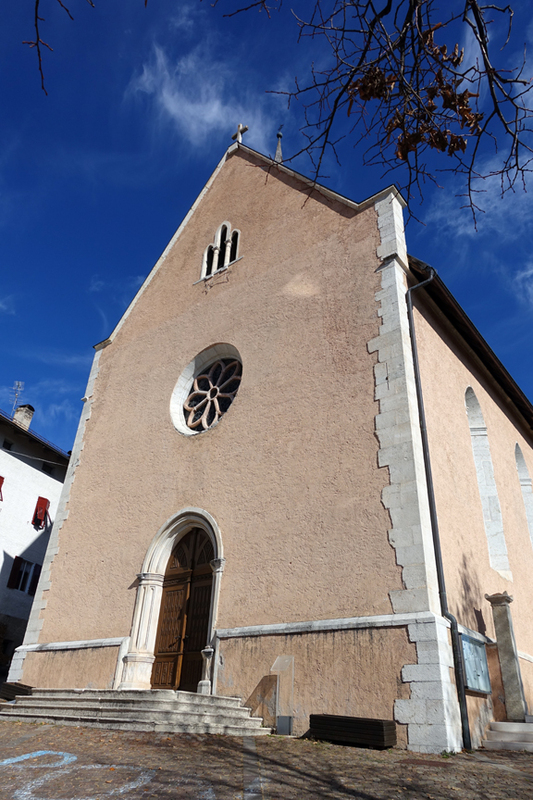 Generations of Genetti, Marchetti and Zambotti had worshiped in this church for hundreds of years! They had walked this very isle where I now stood. I’m sure they had a family pew where they knelt to pray, just as I had as a child in Hazleton, Pennsylvania attending church at St. Gabriel’s with my father. I was awed and overwhelmed by that moment … reaching through time to share a moment with the ancestors who had shaped my life. As we gather with our families this holiday season, remember to thank your ancestors. Without their bravery, determination and Tyrolean values, our lives would be so different. How wonderful it is to understand where our roots came from and that we have inherited a rich culture shared with many cousins around the world. Happy San Nicolò Day to my cousins near and far! Update: After I published this post I received the following information from John Fellin. The Fellin family is from Revo, Val di Non. 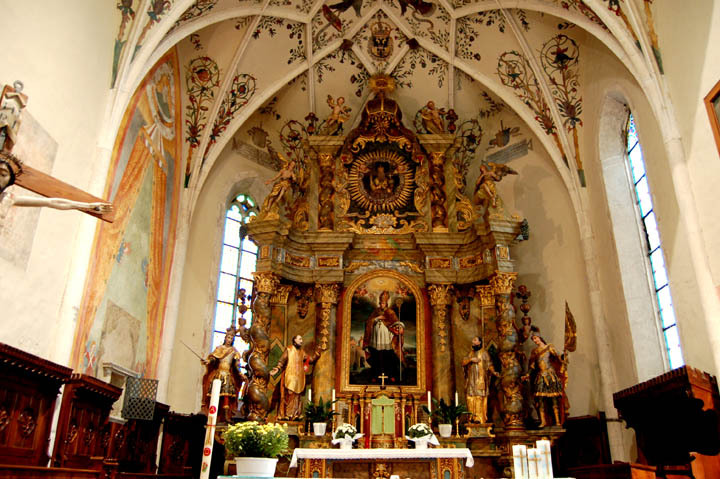 John writes: “Your story about San Nicolo omitted the fact that, under Austria-Hungary and before the Fascist Italianization of the Welsch Tirol, this was the day that boys received a Holiday gift. The gifts might be nuts, some fruit or a couple of Kroner (if the family could afford it). Girls received their gifts on December 13th, the feast of Santa Lucia. The gifts were small and simple, nothing so extravagant as today’s Christmas gifts. Christmas was solely a religious Holiday with no gift exchanges. Italianization brought in La Befana and Santa Claus, ending the Austrian tradition of San Nicolo and Santa Lucia gift giving.” Thank you John for this interesting addition to our blog post. Mille grazie! ← Cyber Monday Sale in the Genetti Family Shop! MERRY CHRISTMAS AND HAPPY NEW YEAR 2019. Giuliano ( from Thailand) who visited Castelfondo many time. This is wonderful. Thank you. I’m also interested in La Befana stories.